Interesting and challenging bridge for experienced players. Not an ACBL sanctioned group so Master’s Points are not given. Bring your own partner. All monies paid out in prizes. 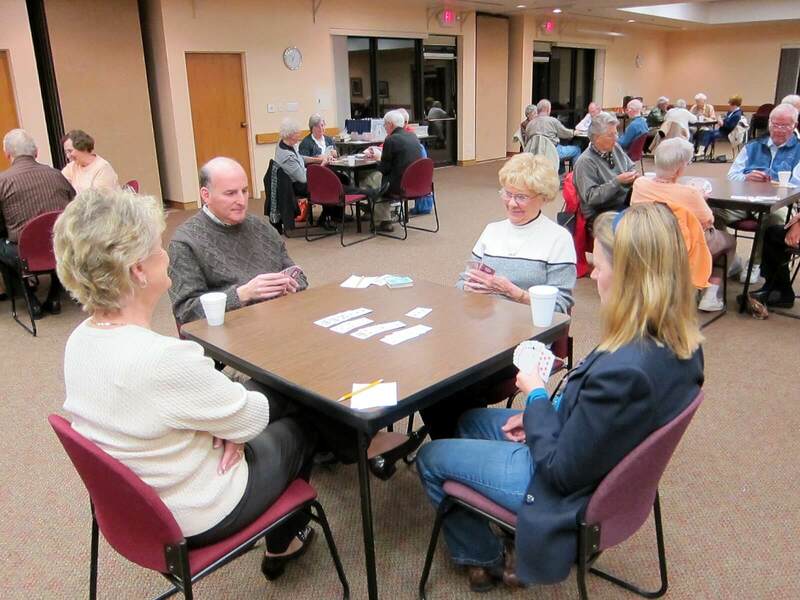 Enjoy playing bridge in a relaxed atmosphere for socializing. No prizes involved. 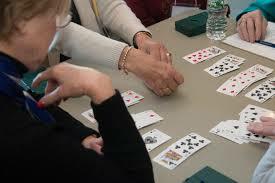 The ladies Wednesday bridge meets each week to play bridge from 12:15 PM to 3:00 PM. During the year we have a spring luncheon and a holiday luncheon. We hope you will join us for an enjoyable afternoon. Play bridge in an informal, fun, social experience. Both men and women are welcome. Either bring your partner or find one when you arrive. No prizes involved. Bring your partner or call an officer and we will try to secure one for you. The usual format is a progressive four rounds of rubber-bridge with six hands per round.